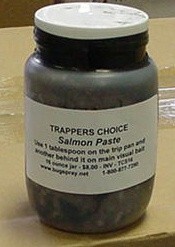 PRODUCT DESCRIPTION: Strong smelling fish based paste used as a lure for animals and insects. Meat eating Wasps like Yellow Jackets love it and will readily find bait placements. 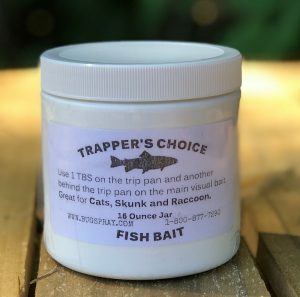 Raccoon, skunk and cats love it too and it makes a great lure when live trapping nuisance wildlife. 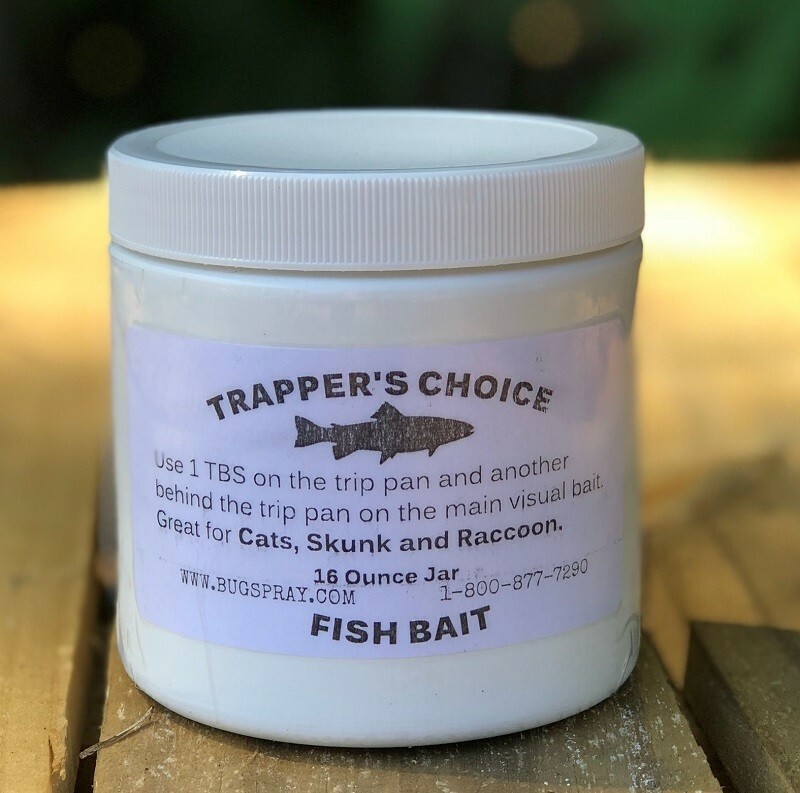 WHERE TO USE IT: Set a couple of ounces behind the trip pan and a teaspoon at the opening of the trap for a good set when using this to trap animals like skunks. Since this is a strong smelling lure, it is best to use it where non-target animals like cats, raccoons and other mammals won't have access. When using to bait Yellow Jackets, this can be accomplished by making placements with our Bait Guard and mounting the Guard on a tree, a deck or up high and off the ground. Similar placements can be made with something like a plastic cup but if water and sun have access, the lure won't last long along with the added chemical so be sure to keep such placements protected from the environment. Bait Guards enable placements to last and are well worth the investment. RATE OF APPLICATION: When used for baiting YELLOW JACKETS with ONSLAUGHT, add 1 oz of Onslaught per jug of Fish Paste. Mix thoroughly and then add 1-2 oz of the mixture per BAIT STATION. If the active wasps (yellow jackets) are targeting sweet food, use LOGANBERRY PASTE. 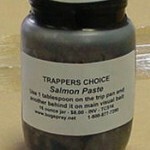 I have depended on the Salmon paste to keep my yard free of yellow jackets for many years; but two recent shipments in padded envelopes have resulted in cracked lids and leakage. Would prefer shipments in boxes to protect the containers & contents.